This made David say, I am a stranger on earth; hide not Thy commandments from me.7 O Lord! I am a pilgrim upon this earth, teach me to keep Thy precepts, which are the road by which I may reach my country in heaven. It is not wonderful that the wicked should wish to live forever in this world, for they justly fear that they shall pass from the pains of this life to the eternal and infinitely more terrible pains of hell; but how can he who loves God, and has a moral certainty that he is in a state of grace, desire to go on living in this vale of tears, in continual bitterness, in straits of conscience, in peril of perishing? How can he help sighing to depart at once to unite himself to God in a blessed eternity, where there is no danger of his destroying himself? Oh, how souls that love God groan continually while they live, and cry out with David, Woe is me, for my banishment is prolonged!8 Unhappy is he who must continue to live a long time in this world, in the midst of so many perils to his salvation! Therefore it is that the saints have continually had this prayer upon their lips, Thy kingdom come.9 Quickly, O Lord! quickly carry us to Thy kingdom. Let us make speed, then, as the apostle exhorts us, to enter that kingdom, where we shall find perfect peace and contentment: Let us hasten to enter into that rest.10 Let us hasten, I say, with desire, and not cease to walk onwards till we come to that blessed harbor which God prepares for them that love him. Behold, O my God! my heart is ready;15 behold me prepared for every cross that Thou givest me to endure. No, I desire not delights or pleasures in this life; he who has offended Thee and deserves hell, deserves not pleasures. 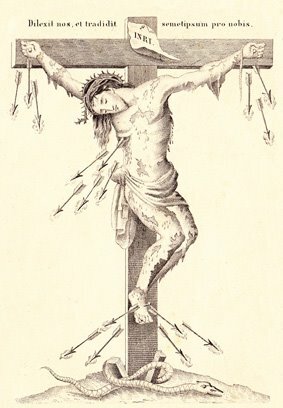 I am ready to suffer all the infirmities and adversities that Thou sendest me; I am ready to embrace all the slights of men; I am content, if it pleases Thee to deprive me of all bodily and spiritual consolations; it is enough that Thou dost not deprive me of Thyself, and of the eternal love of Thee. This I deserve not, but I hope for it, through the blood that Thou hast shed for me. I love Thee, O my God, my love, my all! I shall live forever, and I shall love Thee forever, as I hope; and my paradise will ever be to rejoice in Thy infinite joy, which Thou dost truly merit, through Thine infinite goodness. 1"Dum sumus in corpore, peregrinamur a Domino." -- 2 Cor. v. 6. 2"Audemus autem, et bonam voluntatem habemus magis peregrinari a corpore et præsentes esse ad Dominum." -- 2 Cor. v. 8. 3"Dedit eis potestatem filios Dei fieri," -- John, i. 12. 4"Quoniam per ipsum habemus accessum ambo in uno spiritu ad Patrem." -- Eph. ii. 18. 5"Ergo jam non estis hospites et advenæ, sed estis cives Sanctorum et domestici Dei." -- Eph. ii. 19. 6"Cives terrenæ civitatis parit peccato vitiata natura, qui sunt vasa iræ; cives vero cœlestis patriæ parit a peccato naturam liberans gratia, qui sunt vasa misericordiæ." De Civ. D. l. 15. 7"Incola ego sum in terra, non abscondas a me mandatatua." -- Ps. cxviii. 19. 8"Heu mihi, quia incolatus meus prolongatus est." -- Ps. cxix. 5. 10"Festinemus ergo ingredi in illam requiem." -- Heb. iv. 11. 11"Qui currit, non ad spectatores, sed ad palmam attendit; non consistit, sed cursum intendit." -- In Ep. ad Heb. hom. 7. 13"Gaudete in illa die, et exsultate; ecce enim merces vestra multa est in cœlo." -- Luke, vi. 23. 14"Gaudere nos et exsultare voluit in persecutionibus Dominus, quia tunc dantur coronæ fidei, tune probantur milites Dei." -- Epist. ad Thibar. 15"Paratum cor meum." -- Ps. lvi. 8. Saint Augustine called the thought of eternity the great thought: Magna cogitatio. This thought has brought the saints to count all the treasures and greatness of this life as nothing more than straw, dust, smoke, and refuse. This thought has sent many anchorites to hide themselves in deserts and caves, and so many noble youths, and even kings and emperors, to shut themselves up in cloisters. This thought has given courage to so many martyrs to endure the torture of piercing nails and heated irons, and even of being burnt in the fire. No; we are not created for this earth: the end for which God has placed us in the world is this, that with our good deeds we may inherit eternal life. 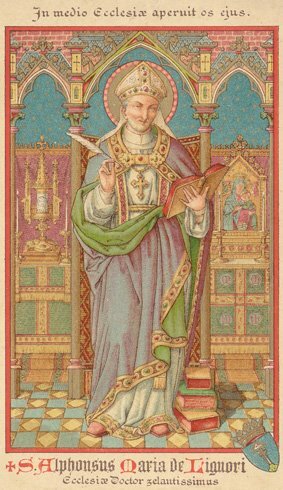 The end is eternal life.1 And, therefore, St. Eucherius said that the only affair that we should attend to in this life is eternity; that is, that we should win a happy eternity, and escape a miserable one. The object for which we struggle is eternity.2 If assured of this end, we are forever blessed; if we fail of it, we are forever miserable. Happy he who lives ever with eternity in view, with a lively faith that he must speedily die, and enter upon eternity. The just man lives by faith.3 It is faith that makes the just to live in the sight of God, and which gives light to their souls, by withdrawing them from earthly affections, and placing before their thoughts the eternal blessings which God promises to them that love him. St. Teresa said that all sins had their origin in a want of faith. Therefore, in order to overcome our passions and temptations, we ought constantly to revive our faith by saying: I believe the life everlasting.4 I believe that after this life, which will soon be ended, there is an eternal life, either full of joys, or full of pains, which will befall me, according to my merits or demerits. St. Teresa said constantly to her disciples, "My children, there is one soul, one eternity." By which she meant to say, My children, we have one soul, and when that is lost, all is lost; and, once lost, it is lost forever. In a word, upon that last breath which we breathe in dying, it depends whether we are forever blessed, or in despair. If the eternity of the next life, if paradise, if hell, were mere fictions of literary men, and things of doubtful reality, even then we ought to bestow all our care to live well, and not to risk our soul forever. But no; these things are not doubtful; they are sure things, they are things of faith; they more surely exist than those things which we see with our bodily sight. Let us, then, pray to our Lord, Increase our faith;8 for, if we are not strong in faith, we may become worse than Luther or Calvin. On the other hand, one thought of living faith upon the eternity that awaits us may make us saints. O my God ! Thou knowest how often I have deserved hell; but, notwithstanding, Thou biddest me hope, and I desire to hope. My sins terrify me; but Thy death giveth me courage, and Thy promise of pardon to him that repenteth. A contrite and humbled heart, O God! Thou wilt not despise. I have dishonored Thee for the time that is past, but now I love Thee above all things; and I grieve more than for any other evil, that I have offended Thee. O my Jesus! have mercy upon me. Mary, Mother of God, pray for me. 1"Finem vero, vitam æternam." -- Rom. vi. 22. 2Negotium pro quo contendimus, æternitas est. 3"Justus ex fide vivit." -- Gal. iii. 11. 5O æternitas! qui te cogitat, nec poenitet, aut fidem non habet, aut, si habet fidem, cor non habet. 6Exprobrabant gentiles, aut mendaces aut stultos esse Christianos: mendaces, si non crederent quod credere dicebant; stultos, si credebant et peccabant. 7Væ peccatoribus qui incognitam ingrediuntur æternitatem! Sed, væ duplex! ingrediuntur, et non egrediuntur! 8"Adauge nobis fidem." -- Luke, xvii. 5. 9"Quisquis in solo æternitatis desiderio figitur, nec prosperitate attollitur, nec adversitate quassatur: dum nil habet in mundo quod appetat, nihil est quod de mundo pertimescat." -- Mor. l. 10, c. 22. 10"Misericordiæ Domini, quia non sumus consumpti." -- Lam. iii. 22. 11"Nisi quia Dominus adjuvit me, paulo minus habitasset in inferno anima mea." -- Ps. xciii. 17. 12"Tu autem eruisti animam meam, ut non periret." -- Isa. xxxviii. 17. Precious in the sight of the Lord is the death of His saints.1 Why is the death of the saints called precious? "Because," answers St. Bernard,2 "it is so rich in blessings which deserve to be purchased at any cost." To these, death is not a "torment, but a rest from the pains they have suffered in struggling with temptations, and in quieting their scruples, and their fear of offending God; so that what St. John writes of them is fulfilled: Blessed are the dead who die in the Lord! Yea, saith the Spirit, that they may rest from their labors.6 He that dies loving God is not disturbed by the pains that death brings with it; but rather it is delightful to such persons to offer them to God, as the last remains of their life. Oh what peace is experienced by him who dies, when he has abandoned himself into the arms of Jesus Christ who chose for himself a death of bitterness and desolation, that he might obtain for us a death of sweetness and resignation! my Jesus! Thou art my judge, but Thou art also my Redeemer, who hast died to save me. From my first sin I have deserved to be condemned to hell, but in Thy mercy Thou hast given me a deep sorrow for my sins, wherefore I confidently hope that now Thou hast pardoned me. I have not deserved to love Thee; but with Thy gifts Thou hast drawn me to Thy love. If it is Thy will that this sickness shall bring death to me, I willingly receive it. I see truly that I do not now deserve to enter Paradise; I go content to purgatory, to suffer as much as it pleases Thee; there my greatest pain will be to continue far from Thee, and I shall sigh to come and see Thee and love Thee face to face; therefore, O my beloved Saviour! have mercy upon me. And what else is this present life, but a state of perpetual peril of losing God? "We walk amidst snares," says St. Ambrose; amidst the deceits of enemies, who seek to cause us to lose the divine grace. Therefore St. Teresa, every time that the clock struck, gave thanks to God that another hour of struggle and peril had passed without sin; and therefore she was so rejoiced at the tidings of her coming death, considering that her struggles were over, and the time was near for her to depart and behold her God. In this present life we cannot live without defects. This is the motive that makes souls that love God even desire death. It was this thought that, at the time of death, gladdened Father Vincent Carafa, when he said, "Now that I finish my life, I cease to displease God." A certain man gave directions to his attendants, that at the time of his death they should often repeat to him these words, "Comfort thyself, because the time is near when thou wilt no more offend God." And what else is this body to us but a prison in which the soul is incarcerated, so that it cannot depart to unite itself to God? On this account, St. Francis, inflamed with love, at the hour of his death cried out with the prophet, "Take my soul out of prison." O Lord, deliver me from this prison which prevents me from seeing Thee. O death, worthy of love, who can fear thee and not desire thee, since thou art the end of all toils, and the beginning of eternal life! St. Pionius the martyr, standing by the instruments of death, showed himself so full of joy, that the people who stood by wondered at his delight, and asked him how he could be so happy when he was just going to die. "You are mistaken," said he, as Eusebius relates, "you are mistaken;—I am not hastening to death, but to life." O most sweet Jesus, I thank Thee for not having called me to death when I was under Thy wrath, and for having won over my soul with such gentle means as Thou hast employed. When I think of the displeasure I have caused Thee, I am ready to die with grief. This my soul, which was lost, I now commit wholly into Thy hands: into Thy hands I commend my spirit; remember, O Lord! that Thou hast redeemed it with Thy death. I love Thee, O infinite goodness! and I desire to depart quickly from this life, that I may come and love Thee with a more perfect love in heaven. And so long as I shall continue to live on this earth, make me continually to comprehend better my obligation to love Thee. O my God! receive me; I give myself wholly to Thee, and I trust in Thee through the merits of Jesus Christ. 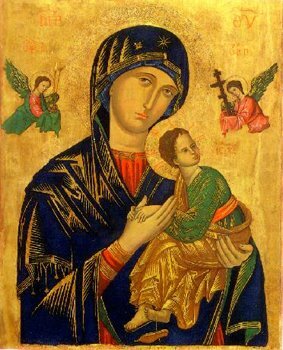 I also trust in thy intercession, O Mary, my hope! 1" Pretiosa in conspectu Domini mors sanctorum ejus." Ps. cxv. 15. 2In Trans. S. Mai. s. I. 3"Quid est diu vivere, nisi diu torqueri?" Serm. 84 E. B. 4Ut mors remedium esse videatur, non poana. 6"Beati mortui, qui in Domino moriuntur. Amodo jam dicit Spiritus, ut requiescant a laboribus suis." Apoc. xiv. 13. Translated by: Rev. Eugene Grimm, C.SS.R. I. Excellence of this Virtue. OUR whole perfection consists in loving God, who is in himself most lovely: Charity is the bond of perfection. (Col. 3:14) But, then, all perfection in the love of God consists in the union of our own with his most holy will. This, indeed, is the principal effect of love; as St. Dionysius the Areopagite observes, "such a union of the will of those who love as makes it to become one and the same will." (De div. nom. c. 4.) And therefore the more united a person is with the divine will, so much greater will be his love. It is quite true that mortifications, meditations, Communions, and works of charity towards others are pleasing to God. But where is this the case? When they are done in conformity to his will; for otherwise, not only does he not approve them, but he abominates and punishes them. Suppose that there are two servants, one of whom labours hard and incessantly throughout the day, but will do everything after his own fashion; while the other does not work so much, but acts always in obedience to orders: is it not certain that the latter, and not the former, is the one who pleases his master? In what respect do any works of ours serve to the glory of God, where they are not done according to his good pleasure? It is not sacrifices that the Lord desires, says the prophet to Saul, but obedience to his will: Does the Lord desire holocausts and victims, and not rather that the voice of the Lord should be obeyed? (1 Kgs. 15:22) To refuse to obey is like the crime of idolatry. He who will act from his own will, independently of that of God, commits a kind of idolatry; since in that case, instead of worshipping the divine will, he worships, in a certain sense, his own. On this account it is that all the saints have ever kept steadfastly in view the fulfilment of the divine will, thoroughly understanding that herein consists the entire perfection of a soul. The blessed Henry Suso used to say, "God does not desire that we should abound in knowledge, but that in all things we should submit ourselves to his will." And St. Teresa, "All that one who devotes himself to prayer has need to acquire is the conformity of his own will to the divine; and he may rest assured that herein consists the highest perfection. Whoever practises this best will receive from God the greatest gifts, and will make most progress in the interior life." (Interior Castle, d. 2, ch. 1.) The Dominican nun the Blessed Stephana of Soncino, being one day, in a vision, carried into heaven, saw certain persons who had died, and with whom she had been acquainted, stationed amongst the seraphim; and it was told her that these had been raised to so high a position in glory through the perfect conformity to God's will which they had practised on earth. And the Blessed Suso already mentioned used to say, when speaking of himself: "I would much rather be the vilest worm of earth through God s will than a seraph through my own." While we are in this world, we should learn from the blessed in heaven the way in which we have to love God. The pure and perfect love which the blessed in heaven entertain for God lies in their own perfect union with the divine will. Should the seraphim understand it to be his will that they must employ themselves for all eternity in gathering into a heap the sands of the sea-shore, or in plucking up the grass from the gardens, they would willingly do it with all possible pleasure. Nay, more: if God were to give them to understand that they should go to burn in the flames of hell, they would immediately precipitate themselves into that abyss, in order to accomplish the divine will. And it is this that Jesus Christ has taught us to pray, namely, that we may perform the divine will on earth, as the saints perform it in heaven: Thy will be done on earth, as it is in heaven. (Matt. 6:10) The Lord calls David a man after his own heart, because David accomplished all his desires: I have found a man according to My own heart, who shall do all My wills. (Acts 13:22) David was ever prepared to embrace the divine will, as he frequently declared: My heart is ready, O God; my heart is ready (Ps. 56:8,107:1) And, on the other hand, the only prayer which he made to the Lord was that he would teach him to do his will: Teach me to do Thy will. (Ps. 142:10) A single act of perfect conformity to the divine will is sufficient to make one a saint. Look at Saul, whom Jesus Christ illuminates and converts, while he is going on in his persecution of the Church. What does Saul do? what does he say? He simply makes an offering of himself to do the divine will: Lord, what wilt Thou have me to do? (Acts 9:6) And, behold, the Lord declares him to be a vessel of election and apostle of the Gentiles: This man is to Me a vessel of election, to carry My name before the Gentiles. (Acts 9:15) Yes, for he who gives his will to God gives him everything: he who gives him his goods in alms, his blood by disciplines, his food by fasting, gives to God a part of what he possesses; but he who gives him his will gives him the whole; so that he can say to him, Lord, I am poor, but I give Thee all that is in my power; in giving Thee my will, there remains nothing for me to give Thee. But this is precisely all that our God claims from us: My son, give Me thy heart (Prov. 23:26). My son, says the Lord to each of us, My son, give Me thy heart; that is to say, thy will. "There is no offering," says St. Augustine, "that we can make to God more acceptable to himself than to say to him, Take possession of us." (In. Ps. 131) No, we cannot offer to God anything more precious than by saying to him, Lord, take possession of us; we give our whole will to Thee; make us understand what it is that Thou dost desire of us, and we will perform it. If, then, we would give a full satisfaction to the heart of God, we must bring our own will in everything into conformity with his; and not only into conformity, but into uniformity, too, as regards all that God ordains. Conformity signifies the conjoining of our own will to the will of God; but uniformity signifies, further, our making of the divine and our own will one will only, so that we desire nothing but what God desires, and his sole will becomes ours. This is the sum and substance of that perfection to which we ought to be ever aspiring; this is what must be the aim of all our works, and of all our desires, meditations, and prayers. For this we must invoke the assistance of all our patron saints and of our guardian angels, and, above all, of our divine Mother Mary, who was the most perfect of all the saints, for the reason that she ever embraced most perfectly the divine will. II. Conformity in All Things. But the chief point lies in our embracing the will of God in all things which befall us, not only when they are favourable, but when they are contrary to our desires. When things go on well, even sinners find no difficulty in being in a state of conformity to the divine will; but the saints are in conformity also under circumstances which run counter and are mortifying to self-love. It is herein that the perfection of our love for God is shown. The Venerable Father John Avila used to say, "A single Blessed be God, when things go contrary, is of more value than thousands of thanksgivings when they are to our liking." 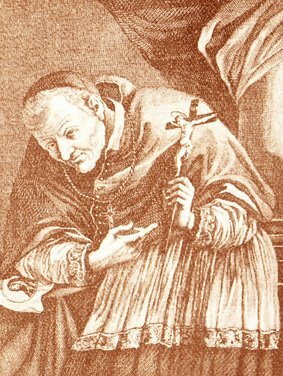 Cesarius relates of a certain religious that although there was in no respect any external difference between himself and the others, he had nevertheless arrived at such a degree of sanctity as to heal the sick by the mere touch of his clothes. His Superior, in astonishment at this, one day asked him how he could ever perform such miracles, while his life was not more exemplary than that of others. In reply, he said that it was a matter of astonishment to himself also, and that he did not know how to account for it. "But what devotions do you practise?" asked the Abbot. The good religious, in answer, said that he did but little or nothing in this respect; only that he had ever made it his great care to will that alone which God willed, and that the Lord had granted him the grace to keep his own will thoroughly abandoned in that of God. "Prosperity," he said, "does not elate me, nor does adversity cast me down, because I receive everything from the hands of God; and to this end it is that I direct all my prayers, namely, that his will may perfectly accomplish itself in me." "And with respect to that loss," rejoined the Superior, "which our enemy caused us the other day, by depriving us of our means of subsistence, setting fire to our farm-buildings where our corn and cattle were housed, did you not feel some resentment in consequence?" "No, my Father," was his reply; "but, on the contrary, I returned thanks to God for it, as is my custom in similar cases, knowing that God does and permits all for his own glory and for our greater good; and with this conviction, I am always content under every circumstance that comes to pass." (Caes. Dial. l. 10, c. 6.) The Abbot, understanding this, and seeing in that soul so great a conformity to the divine will, was no longer surprised at his performance of such great miracles. III. Happiness obtained from Perfect Conformity. He who acts in this way does not only become a saint, but he enjoys, even in this world, a perpetual peace. 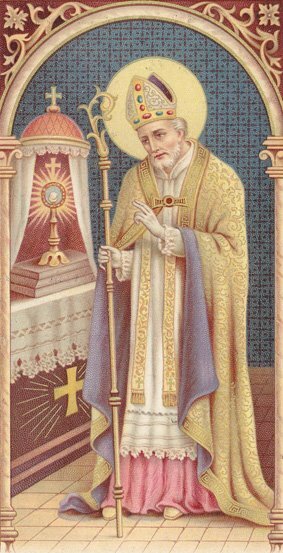 Alphonsus the Great, King of Arragon, and a most wise prince, on being one day asked whom he considered to be the happiest man in the world, replied, He who abandons himself to the will of God, and receives all things, whether prosperous or adverse, as from his hands. To those who love God, all things work unto good (Rom. 8:28) Those who love God are ever content, because their whole pleasure lies in the accomplishment, even in things that run counter to themselves, of the divine will; and hence even afflictions themselves are converted into their contentment, by the thought that in the acceptance of them they are giving pleasure to their Lord whom they love: Whatsoever shall befall the just man, it shall not make him sad. (Prov. 12:21) And, in truth, what greater contentment can a man ever experience than in seeing the accomplishment of all that he desires? Now, whenever any one desires nothing save what God desires, since everything that comes to pass in the world (sin only excepted) always comes to pass through the will of God, everything that such a one desires does consequently come to pass. There is a story in the lives of the Fathers of a certain countryman whose land was more productive than that of others, and who, on being asked how it happened, replied that no one should be surprised at it, because he always had such weather as he desired. "And how so?" it was asked. "Yes," replied he, "because I desire no weather but that which God desires; and as I desire what God desires, so does he give me the fruits of the earth as I desire them." Souls that are truly resigned, says Salvian, if they are in a state of humiliation, desire this; if they suffer poverty, they desire to be poor; in short, whatever happens to them, they desire it all, and therefore they are, in this life, happy: "They are in humble station, they wish for this; they are poor, they make poverty their delight; therefore we must say of them that they are happy." (De Gub. Dei, l. 1.) When cold or heat, rain or wind, prevails, he who is in a state of union with the divine will says, I wish it to be cold, I wish it to be hot; I wish the wind to blow, the rain to fall, because God wishes it so. Does poverty, persecution, sickness, death arrive, I also wish (says such a one) to be poor, persecuted, sick; I wish even to die, because God wishes it thus. The fool (says the Holy Spirit) is changed like the moon: the holy man continueth in wisdom like the sun. (Ecclus/Sir 27:12) The fool that is to say, the sinner changes like the moon, which to-day grows, to-morrow wanes. To-day you will see him laughing, to-morrow weeping; to-day all gentleness, to-morrow furious like the tiger, And why so? because his contentment depends on the prosperity or the adversity that he meets with; and therefore he varies as the circumstances which befall him vary. Whereas the just man is like the sun, ever uniform in his serenity under whatever circumstances may come to pass; because his contentment lies in his uniformity to the divine will, and therefore he enjoys a peace that nothing can disturb: And on earth peace to men of good will. (Luke 2:14) said the angel to the shepherds. And who can these men of good will ever be but those who are at all times in unison with the will of God, which is supremely good and perfect. The will of God is good, delightful, and perfect. (Rom 12:2) Yes, because he wills only that which is best and most perfect. The saints, through their conformity to the divine will, have enjoyed in this world a paradise in anticipation. St. Dorotheus tells us that it was thus that the ancient Fathers kept themselves in profound peace, receiving all things as they did from the hands of God. When St, Mary Magdalene of Pazzi heard mention only of the will of God, she used to experience so intense consolation that she fell into an ecstasy of love. And although, on the other hand, the sting of adverse circumstances will not fail to make itself felt, yet its influence will not extend beyond the lower part of our nature; for in the higher part of the soul there will reign peace and tranquillity while the will remains in union with that of God. Your joy (said the Redeemer to the Apostles) no man shall take from you. That your joy may be full. (John 16:22-24) He who is ever in conformity to the divine will possesses a full and perpetual joy; full, because he has all that he wishes for, as was observed above; perpetual, because it is a joy of which no one can deprive him, while, at the same time, no one can prevent that which God wills from coming to pass. Father John Taulerus relates of himself that after having for many years prayed the Lord to send some one to instruct him in the true spiritual life, he one day heard a voice saying to him, "Go to such a church, and you will find what you ask for." On reaching the church, he finds at the gate a beggar, barefooted and with scarcely a rag on his back. He salutes him: a Good day, my friend." The poor man replies, "Sir, I do not remember ever to have had a bad day." The Father rejoins, "God grant you a happy life;" to which he answers, "But I have never been unhappy." And then he goes on to say, "Listen, my Father; it is not without reason that I have told you that I have never had a bad day; because, when I suffer hunger, I praise God; when it snows or rains, I bless him; if I am treated with contempt, or repulsed by any, or if I experience misfortunes of any other kind, I always give glory to my God for it. I said, besides, that I have never been unhappy, and this also is true; because it is my habit to desire, without reservation, all that God desires; therefore, in all that happens to me, whether it be pleasant or painful, I receive it from his hands with joy, as being what is best for me; and herein lies my happiness." "And if it should ever happen," says Taulerus, "that God willed you to be damned, what would you say then?" "If God were to will this," replied the beggar, "I would, with all humility and love, lock myself so fast in my Lord's embrace, and hold him so tight, that if it were to be his will to cast me down into hell, he would be obliged to come along with me; and thus, with him, it would then be sweeter to me to be in hell than to possess without him all the enjoyments of heaven." "Where was it that you found God?" said the Father. "I found him where I took leave of creatures," was the reply. "Who are you?" The poor man answered, "I am a king." "And where is your kingdom?" "It is within my soul, where I keep everything in due order; the passions are subjected to the reason, and the reason to God." In conclusion, Taulerus asked him what it was that had led him on to so high a degree of perfection? "It has been silence," said he, "observing silence with man, in order to hold converse with God; and also the union which I have maintained with my Lord, in whom I have found, and still do find, all my peace." (St. Jure, Knowledge, etc. l. 3, ch. 8.) Such, in short, had this poor man become through his union with the divine will; and certainly he was, in all his poverty, more wealthy than all the monarchs of the earth, and in his sufferings more happy than all the men of the world with their earthly pleasures. IV. God Wishes Only Our Good. Oh, great indeed is the folly of those who fight against the divine will! They have now to suffer troubles, because no one can ever prevent the accomplishment of the divine decrees: Who resisteth His will? (Rom. 9:19) And, on the other hand, they have to suffer them without deriving benefit from them; nay, even drawing down upon themselves greater chastisements in the next life, and greater disquietude in this: Who hath resisted Him, and hath had peace? (Job 9:4) Let the sick man make as great an outcry as he will about his pains; let him who is in poverty complain, rave, blaspheme against God as much as he pleases in his distresses, what will he gain by it, but the doubling of his affliction? "What are you in search of, O foolish man," says Augustine, "when seeking good things? Seek that one Good in whom are all things good." (Man. c. 34.) What are you going in search of, poor silly fellow, outside of thy God? Find God, unite yourself to his will, bind yourself up with it; and you will be ever happy, both in this life and in the other. And, in short, what is there that God wills but our good? Whom can we ever find to love us more than he? It is his will, not merely that no one should perish, but that all should save and sanctify themselves: Not willing that any should perish, but that all should return to penance. (2 Peter 3:9) This is the will of God, your sanctification. (1 Thess. 4:3) It is in our good that God has placed his own glory, being, as St. Leo says, in his own nature goodness infinite, "God, whose nature is goodness," and it being the nature of goodness to desire to spread itself abroad, God has a supreme desire to make the souls of men partakers of his own bliss and glory. And if, in this life, he sends us tribulations, they are all for our own good: All things work together unto good. (Rom 8:28) Even chastisements, as was observed by the holy Judith, do not come to us from God for our destruction, but in order to our amendment and salvation: Let us believe that they have happened for our amendment, and not for our destruction. (Judith 8:27) In order to save us from eternal evils, the Lord throws his own good will around us: O Lord, Thou hast crowned us as with a shield of Thy good will. (Ps. 5:13) He not only desires, but is anxious for, our salvation: The Lord is careful for me. (Ps. 39:18) And what is there that God will ever refuse us, says St. Paul, after having given us his own Son? He that spared not even His own Son, but delivered Him up for us all, how hath He not also with Him given us all things. (Rom 8:32) This, then, is the confidence in which we ought to abandon ourselves to the divine dispensations, all of which have for their object our own good. Let us ever say, under all the circumstances that may happen to befall us, In peace, in the self-same, I will sleep and I will rest; for Thou, O Lord, singularly hast settled me in hope. (Ps. 4:10) Let us also place ourselves entirely in his hands, for he will certainly take care of us: Casting all your care upon Him, for He hath care of you. (1 Peter 5:7) Then, let our thoughts be fixed on God, and on the fulfilment of his will, that he may think of us and of our good. "Daughter," said the Lord to St. Catharine of Sienna, "do thou think of Me, and I will ever think of thee." Let us be frequently saying with the sacred spouse, My Beloved to me, and I to Him. (Cant. 2:16) The thoughts of my Beloved are upon my good; I will think of nothing but of pleasing him, and bringing myself into a state of perfect uniformity to his holy will. The holy Abbot Nilus used to say that we ought never to pray to God that he would make our will succeed, but that in us he would accomplish his own will. And whenever, too, things that are contrary befall us, let us accept them all, as from God's hands, not merely with patience, but with joy, as did the Apostles when they went from the presence of the council, rejoicing that they were accounted worthy to suffer reproach for the name of Jesus." (Acts 5:41) And what greater satisfaction can a soul enjoy than in the knowledge that by suffering with a good will anything that it may have to suffer it gives to God the greatest pleasure that it can give him? The masters of the spiritual life teach that, though the desire which certain souls have of suffering to give him pleasure is acceptable to him, he is yet more pleased with the conformity of those who wish for neither joy nor pain, but, in perfect resignation to his holy will, have no other desire than to fulfil whatever that will may be. If then, O devout soul! you would please God, and live in this world a life of contentment, unite yourself ever and in everything to the divine will. Consider that all the sins that you have committed, when leading a life of disorder and distress, have come to pass in consequence of having separated yourself from the will of God. Bind yourself up, from this day forward, with his good pleasure; and always say, in everything that may befall you: Yea, Father; for so hath it seemed good in Thy sight. (Matt. 11:26) Thus let it be, O Lord! since thus it is pleasing unto Thee. Whenever you feel yourself troubled on account of any occurrence of an adverse description, consider that it has come from God; and therefore say at once, "Thus God wills," and so remain in peace. I was dumb, and I opened not my mouth, because Thou hast done it. (Ps. 38:10) Lord, since Thou hast done it, I say nothing, and accept it. To this end you must direct all your thoughts and prayers; namely, to strive and pray ever unto God, in meditations, in Communions, in visits to the Most Holy Sacrament, that he would make you accomplish his will. And ever be making an offering of yourself, saying, My God, behold, here I am; do what Thou willest with me, and with all that I have. This was St. Teresa's continual exercise; fifty times a day at least did the saint offer herself to the Lord, that he might dispose of her according to his pleasure. V. Special Practices of this Conformity. But let us now look at the matter in a more practical point of view, and consider what things there are in which we have to bring ourselves into uniformity to the will of God. 1. ORDINARY OR COMMON ACCIDENTS. In the first place, we must have this uniformity as regards those things of nature that come to us from without; as when there is great heat, great cold, rain, scarcity, pestilence, and the like. We must take care not to say, What intolerable heat! what horrible cold! what a misfortune! how unlucky! what wretched weather! or other words expressive of repugnance to the will of God. We ought to will everything to be as it is, since God is he who orders it all. St. Francis Borgia, on going one night to a house of the Society when the snow was falling, knocked at the door several times; but, the Fathers being asleep, he was not let in. They made great lamentations in the morning for having kept him so long waiting in the open air; but the saint said that during that time he had been greatly consoled by the thought that it was God who was casting down upon him those flakes of snow. In the second place, we must have this conformity as regards things that happen to us from within, as in the sufferings consequent on hunger, thirst, poverty, desolations, or disgrace. In all, we ought ever to say, "Lord, be it Thine to make and to unmake. I am content; I will only what thou dost will." (Christian Perfection, p. 1, tr. 8, ch. 7.) And thus, too, we ought, as Fr. Rodriguez says, to reply to such imaginary cases as the devil occasionally suggests to the mind, in order to make us fall into some consent that is wrong, or at least to disgust us. If such a person were to say so and so to you, if he were to do so and so to you, what would you say? what would you do? Let our answer always be, "I would say and do that which God wills." And by this means we shall keep ourselves free from all fault and molestation. In the third place, if we have any natural defect either in mind or body, a bad memory, slowness of apprehension, mean abilities, a crippled limb, or weak health, let us not therefore make lamentation. What were our deserts, and what obligation had God to bestow upon us a mind more richly endowed, or a body more perfectly framed? Could he not have created us mere brute animals? or have left us in our own nothingness? Who is there that ever receives a gift and tries to make bargains about it? Let us, then, return him thanks for what, through a pure act of his goodness, he has bestowed upon us; and let us rest content with the manner in which he has treated us. Who can tell whether, if we had had a larger share of ability, stronger health, or greater personal attractions, we should not have possessed them to our destruction? How many there are whose ruin has been occasioned by their talents and learning, of which they have grown proud, and in consequence of which they have looked upon others with contempt, a danger which is easily incurred by those who excel others in learning and ability! How many others there are whose personal beauty or bodily strength have furnished the occasions of plunging them into innumerable acts of wickedness! And, on the contrary, how many others there are who, in consequence of their poverty, or infirmity, or ugliness, have sanctified themselves and been saved; who, had they been rich, strong, or handsome, would have been damned! And thus let us ourselves rest content with that which God has given us: But one thing is necessary. (Luke 10:42) Beauty is not necessary, nor health, nor sharpness of intellect; that which alone is necessary is our salvation. 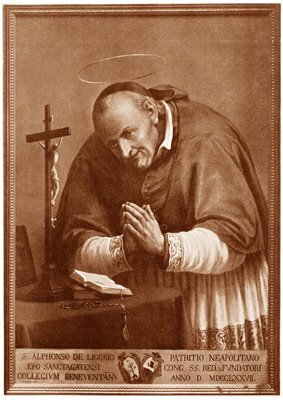 How foolish, too, are those who say that they wish for health, not indeed, in order to suffer, but to render greater service to God, by the observance of the rules, by serving the community, by going to church, by receiving Holy Communion, by doing penance, by study, by employing themselves in the saving of souls, by hearing confessions, and by preaching! But, my good friend, I wish you would tell me why it is that you desire to do these things? Is it to please God? And why go out of your way in order to do this; certain, as you are, that what pleases God is, not that you pray, receive Communion, do acts of penance, study, or preach sermons, but that you suffer with patience the infirmity or the pains which he sees fit to send you? Unite, then, your own sufferings to those of Jesus Christ. But, you say, I am troubled that, in consequence of being such an invalid, I am useless and burdensome to the community and to the house. But as you resign yourself to the will of God, so you ought to believe that your Superiors, too, resign themselves, seeing, as they do, that it is not through any laziness of your own, but through the will of God, that you have laid this burden upon the house. Ah, these desires and regrets do not spring from the love of God, but from the love of self, which is hunting after excuses for departing from the will of God! Is it our wish to give pleasure to God? Let us say, then, whenever we happen to be confined to bed, to the Lord this only, Fiat voluntas Tua, "Thy will be done." And let us be ever repeating it, although for the hundredth or thousandth time; and by this alone we shall give more pleasure to God than we could give him by all the mortifications and devotions which we could perform. There is no better mode of serving God than by cheerfully embracing his will. 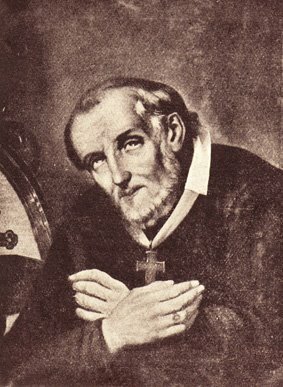 The Venerable Father Avila wrote thus to a priest who was an invalid: "My friend, do not stop to calculate what you might do if you were well, but be content to remain unwell as long as God shall please. If your object be to do the will of God, how is it of more consequence for you to be well than ill?" (Lett. xiii. ed. Migne.) And certainly this was wisely said; for God is not glorified so much by our works as by our resignation and conformity to his holy will. And therefore St. Francis de Sales used to say that we serve God more by suffering than by working. It will often happen that we shall find ourselves without doctors and medicine; or, again, our medical attendant may not clearly understand our complaint; and here, too, we must be in a state of conformity to the divine will, which ordains it to be so for our good. It is related of one who had a devotion to St. Thomas of Canterbury, that, being unwell, he went to the tomb of the saint to obtain his recovery. He returned home in good health; but then he said within himself, But if the sickness would have been a greater help towards my salvation, what benefit shall I gain from the health which I now have? With this thought in his mind, he went back to the tomb, and prayed the saint to ask for him of God that which was the more expedient of the two for his eternal salvation; and after doing this he relapsed into the sickness, and remained in it with perfect contentment, holding it for certain that God ordained it to be so for his good. There is a similar anecdote related by Surius, (February 6) of a certain blind man who received his sight through the intercession of the Bishop St. Vedast; but afterwards prayed that, if that sight was not expedient for his soul, he might return to his former state of blindness; and after this prayer he continued blind as before. In times of sickness, then, it is best not to seek after health, either good or bad, but to abandon ourselves to the will of God, that he may dispose of us as pleases him. But if health is what we would seek, let us ask for it with resignation at least, and on the condition that health of body be suitable to the health of our soul; otherwise a prayer to this effect will be faulty, and rejected, because the Lord does not listen to prayers of this description when unaccompanied by resignation. I call the time of sickness the touchstone by which spirits are tried, because in it is ascertained the value of the virtue of which any one stands possessed. If he does not lose his tranquillity, if he makes no complaints, and is not over-anxious, but obeys his medical advisers and his superiors, preserving throughout the same peacefulness of mind, in perfect resignation to the divine will, it is a sign that he possesses great virtue. But what, then, ought one to say of the sick person who laments and says that he receives but little assistance from others; that his sufferings are intolerable; that he can find no remedy to do him good; that his medical man is ignorant; at times complaining even to God that his hand presses too heavily upon him? St. Bonaventure relates, (Chap. 14) in his Life of St. Francis, that when the saint was suffering pains of an extraordinary severity, one of his religious, who was somewhat over-simple, said to him, "Father, pray to God to treat you with a little more gentleness; for it seems that he lays his hand upon you too heavily." St. Francis, on hearing this, cried aloud, and said to him in reply, Listen; if I did not know that these words of yours were the offspring of mere simplicity, I would never see you more, daring, as you have done, to find fault with the judgements of God." And after saying this, extremely enfeebled and emaciated through his sickness though he was, he threw himself from his bed upon the floor and kissing it, he said, "Lord, I thank Thee for all the sufferings which Thou sendest me. I pray Thee to send me more of them, if it so please Thee. It is my delight for Thee to afflict me, and not to spare me in the least degree, because the fulfilment of Thy will is the greatest consolation which in this life I can receive." 4. LOSS OF USEFUL PERSONS. But, you will say, if I could only know that this desolation comes from God, I should be content; but what afflicts and disquiets me is the fear that it may have come through my own fault, and as a punishment for my tepidity. Well, then, take your tepidity out of the way, and employ greater diligence. But will you, because you are perhaps under a cloud, will you therefore disquiet yourself, leave off prayer, and thus double the evil of which you complain? Let it be that, as you say, the dryness is come upon you as a chastisement. Then accept it as a chastisement on one who so much deserves to be chastised, and unite yourself to the divine will. Do you not say that you deserve hell? And why, then, are you complaining? Perhaps it is because you deserve that God should give you consolations? Ah, go and rest content with the manner in which God is dealing with you; persevere in prayer, and in the way on which you have entered; and henceforth let it be your fear that your complaints may arise from your little humility and your little resignation to the will of God. When a soul applies itself to prayer, it can derive no benefit from it that can be greater than the union of itself with the divine will. Therefore make an act of resignation, and say, Lord, I accept this pain from Thy hands, and I accept it for as long as may please Thee; if it be Thy will that I should be thus afflicted for all eternity, I am content. And in this way your prayer, painful though it may be, will be a greater help to you than any consolation, however sweet. We must, however, bear in mind that dryness is not always a punishment, but is occasionally ordained by God for our greater good, and in order to keep us humble. That St. Paul might not grow proud of the gifts that he had received, the Lord permitted him to be tormented by temptations of impurity: Lest the greatness of the revelations should exalt me, there was given me a sting of my flesh, an angel of Satan, to buffet me. (2 Cor 12:7) He who prays in times of sweetness does no great thing: There is a friend, a companion at table; and he will not abide in the day of distress. (Ecclus/Sir. 6:10) You would not esteem to be a true friend of yours the man who was with you only at your table; but him who assisted you in times of trouble, and without advantage to any interests of his own. When God sends darkness and desolations, it is then that he is trying who are true friends of his. Palladius suffered great weariness in prayer; and when he went to tell St. Macarius, the latter said to him, "When the thought suggests itself to you that you should leave off prayer, let this be your reply: I am content, for the love of Jesus Christ, to remain here as guardian of the walls of this cell." (Hist. laus. c. 20.) This, then, is your answer, whenever you feel yourself tempted to leave off prayer, because it appears to you as no better than a mere waste of time: "I am here in order to give pleasure to God." St. Francis de Sales used to say that if in time of prayer we did no more than drive away distractions and temptations, our prayer would, nevertheless, be well made. Nay, Taulerus says that on him who perseveres in prayer in a state of aridity, God will bestow greater graces than had he prayed much with great sensible devotion. F. Rodriguez (Christ. Perf. p. 1, tr. 8, ch. 29.) 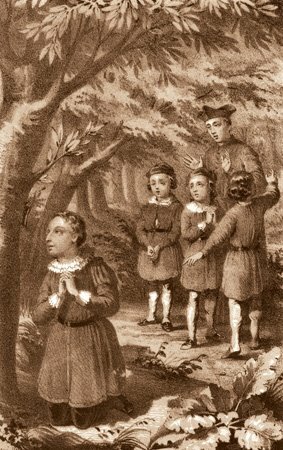 tells us of a certain person who used to say that during forty years of prayer he had never experienced any consolation; but that on such days as he prayed he found himself strong in virtue; whereas, on the contrary, on whatever day he omitted it he experienced such a weakness as made him unfit for anything that was good. It is observed by S. Bonaventure, and by Gerson, (De. Prof. rel. l. 2, c. 76.) that many serve God more in the absence of the recollection they desire than if they had possessed it; because they thus live in a state of greater diligence and humility; whereas otherwise they might perhaps become proud and more tepid, thinking that they had already gained the object of their desire. And what is said with regard to aridity must also be said of temptations. We ought to try to avoid temptations; but if God wills or permits that we be tempted against the faith, against purity, or against any other virtue, we ought not to complain, but resign ourselves in this also to the divine will. To St. Paul, who prayed to be released from his temptation to impurity, the Lord made answer, My grace is sufficient for thee. (2 Cor. 12:9) And so, if we see that God does not listen to us, by releasing us from some troublesome temptation, let us likewise say, Lord, do and permit that which pleaseth Thee; Thy grace is sufficient for me; only grant me Thy assistance, that I may never lose it. It is not temptations, but the consenting to temptations, that is the cause of our loss of divine grace. Temptations, when we overcome them, keep us more humble, gain for us greater merits, make us have recourse to God more frequently; and thus keep us further from offending him, and unite us more closely to his holy love. Lastly, we must unite ourselves to the will of God in regard to our death, and as to the time and the manner in which he will send it. St. Gertrude one day, when climbing up a hill, slipped and fell into a ravine. Her companions asked her afterwards whether she would not have been afraid to die without the sacraments? The saint answered, "It is my great desire to die with the sacraments; but I consider that the will of God is more to be accounted of, because I hold that the best disposition one could have for dying a good death would be one's submission to that which God might will; consequently, I desire whatever death my Lord shall be pleased to allot me." It is related by St Gregory, in his Dialogues, that the Vandals having condemned to death a certain priest named Santolo, they granted him the liberty of choosing the kind of death which he would prefer; but the holy man refused to make a selection, saying, "I am in the hands of God, and will suffer the death which he permits you to make me suffer; nor do I wish for any other than that." (L. 3, c. 37.) This act was so pleasing to God that, when these barbarous men had resolved on having his head cut off, he held back the executioner's arm; whereupon they gave in to so great a miracle, and spared his life. As to the manner, then, we ought to esteem that death to be the best for us which God may have determined shall be ours. Save us, Lord (let us ever say, when thinking of our death); and then let us die in whatever manner seemeth good unto Thee. Thus, again, we ought to unite our will to his as to the time of our death. What is this world but a prison for us to suffer in, and to be in danger every moment of losing God? It was this that caused David to exclaim, Bring my soul out of prison. (Ps 141:8) It was this fear that made St. Teresa sigh for death. On hearing the clock strike, she felt the utmost consolation in the thought that an hour of her life had passed, an hour of her danger of losing God. Father Avila used to say that every one with imperfect dispositions ought to desire death, because of the danger in which we live of losing the divine grace. What is more precious, or more to be desired, than by a good death to secure to ourselves the impossibility of losing the grace of our God? But, you say, "I have as yet done nothing; there is nothing that I have gained for my soul." But if it be the will of God for your life to terminate at this time, what would you do afterwards, if you were to remain alive contrary to his will? And who knows whether, in that case, you would die such a death as you can have hopes of dying now? Who knows whether, through a change of will, you might not fall into other sins, and involve yourself in damnation? And even were there nothing else, yet by remaining alive you could not live without committing at least venial sins. Hence St. Bernard exclaims, "Why, oh, why do we wish for a life in which the longer we live, the more we sin? (Med. c. 2.) And it is certain that one single venial sin displeases God more than all the good works that we can do please him. I say, moreover, that he who has but little desire for Paradise shows that he has but little love for God. One who loves desires the presence of the object loved; but we cannot see God without leaving this world; and therefore it is that all the saints have sighed for death, in order to go and see the Lord whom they have loved. Thus did Augustine sigh, "Oh, may I die, that I may see thee!" Thus, too, St. Paul: Having a desire to be dissolved, and to be with Christ. (Phil. 1:23) Thus, again, David: When shall I come and appear before the face of God? (Ps. 41:3) And in like manner, too, all the souls that have been enamoured of God. It is related by a certain writer that one day, as a gentleman was out hunting in a forest, he heard a man singing sweetly; on going in that direction, he found a poor leper in a state of semi-putrefaction: he asked him if it was he who was singing? "Yes," answered he, "it was I, sir, who was singing." "And how can you ever be singing and contented under sufferings like these, which are taking your life away?" The leper answered, "There is nothing to stand between my Lord God and myself but this wall of clay, which is my body; when this impediment is removed, I shall go to enjoy my God. And seeing, as I do, that it is falling into pieces every day, I therefore rejoice and sing." Finally, even as regards our degrees in grace and glory we must bring our own will into conformity to the divine. Highly as we ought to value the things of the glory of God, we ought to value his will yet more. It is right for us to desire to love him more than the Seraphim do, but it is not right for us to go on to wish for any other degree of love than that which the Lord has determined on granting us. Father Avila says, "I do not believe that there was ever a saint who did not desire to be better than he was. But it has not deprived any one of them of his peace; because this desire of theirs had not relation to any cravings of their own, but to God; with whose measures of distribution they rested content, although he might have given them less than others; out of true love deeming that contentment with what God gave them had a greater value than the desire of possessing much. It all comes to this, as F. Rodriguez explains it, (Christ. Perf. p. 1, tr. 8, ch. 30.) that although we ought to be diligent to attain the greatest perfection in our power, that our own lukewarmness and laziness may not be furnished with an excuse, as in the case of those who say, God has to give me what I need I can only do so much; nevertheless, when we fall short, we ought not to lose our peace and conformity to the will of God, which has permitted the failing on our part, nor our courage either. Let us raise ourselves up immediately from our fall; let us humble ourselves in acts of penance; and, seeking for greater assistance from God, let us pursue our course. So, in like manner, although we may rightly desire to be added in heaven to the choir of the Seraphim, not, indeed, that we may have the more glory for ourselves, but in order to give greater glory to God, and that we may love him the more, we ought, nevertheless, to resign ourselves to his holy will, contenting ourselves with that degree which, through his mercy, he shall vouchsafe to grant us. It would, moreover, be but too evident a fault to desire to possess gifts of supernatural prayer such, more especially, as ecstasies, visions, and revelations; whereas, on the contrary, spiritual writers say that those souls on which God bestows the favour of such graces ought to pray to him to deprive them of them, in order that they may love him by the way of pure faith, which is the safest way. There are many who have attained perfection without these supernatural graces. Those only are virtues that raise the soul to sanctity; and chief amongst their number stands conformity to the will of God. If God does not choose to raise us to a high degree of perfection and of glory, let us conform ourselves in all respects to his holy will, praying to him that he would at least save us through his mercy. And if we act in this manner, the reward will not be small which, of his goodness, our good Lord will give us; loving above everything, as he does, those souls that are resigned. In short, we ought to regard all things that do or will happen to us as proceeding from God s hand; and everything that we do we ought to direct to this one end, the fulfilment of his will, and to do it simply because God wills it to be done. And in order to go on with greater security in this, we must follow the guidance of our superiors as regards what is external, and of our directors with regard to what is internal, that so we may, through them, understand what it is that God desires of us, having great faith in those words of Jesus Christ to us: He that heareth you heareth Me. (Luke 10:16) And, above all, let it be our study to serve God in the way in which it is his will that we should serve him. I say this, that we may shun the deception practised upon himself by one who loses his time, amusing himself by saying, "If I were in a desert, if I were to enter into a monastery, if I were to go somewhere, so as not to remain in this house, to a distance from these relatives or these companions of mine I would sanctify myself; I would do such and such penance; I would say such and such prayers." He says, "I would do, I would do;" but in the mean time, through bearing with a bad will the cross which God sends him in short, through not walking in the way that God wills for him he not only does not sanctify himself, but goes on from bad to worse. These desires are temptations of the devil, at such times when they are not in accordance with the will of God; we must therefore drive them away, and brace ourselves up to the service of God in that one way which he has chosen for us. By doing his will, we shall certainly sanctify ourselves in any state wherein God places us. Let us, then, ever will that only which God wills, that so he may take and press us to his heart; and, for this end, let us make ourselves familiar with some of those passages of Scripture that call upon us to unite ourselves ever more and more to the divine will: Lord, what wilt thou have me to do? (Acts 9:6) My God, tell me what thou desirest of me; for I desire to do it all. I am Thine: save Thou me (Ps. 118:94) O my Lord! I am no longer my own, but Thine; do with me whatsoever Thou dost please. And at such times especially as any very grievous calamity befalls us as in the case of the death of parents, of the loss of property, and things of a similar kind Yea, Father (let it ever be ours to say), yea, Father; for so hath it seemed good in Thy sight. (Matt. 11:26) Yes, my God and my Father, let it be even so; for so it hath pleased Thee. And, above all, let us love that prayer which Jesus Christ has taught us: Fiat voluntas Tua sicut in cælo et in terra, "Thy will be done on earth as it is in heaven." The Lord told St. Catharine of Genoa that whenever she said the "Our Father," she was to pay particular attention to these words, and pray that his holy will might be fulfilled by her with the same perfection with which it is fulfilled by the saints in heaven. Let us, too, act in this manner, and we shall certainly become saints ourselves. May the divine will, and the Blessed and Immaculate Virgin Mary, be ever loved and praised!